October 1 is National Seniors Day in Canada! Yee Hong is proud to celebrate this special day in honour of the seniors who have helped to build and strengthen our communities. Yee Hong will again present the Golden Heart Awards to recognize individual seniors who continue to make a difference in their communities, even well into their golden years. Nominations are now open! Please submit the completed nomination package (Nomination Form and supporting documents) by email to foundation@yeehong.com. Join us September 30 at the 2018 National Seniors Day Dinner, and salute our seniors! 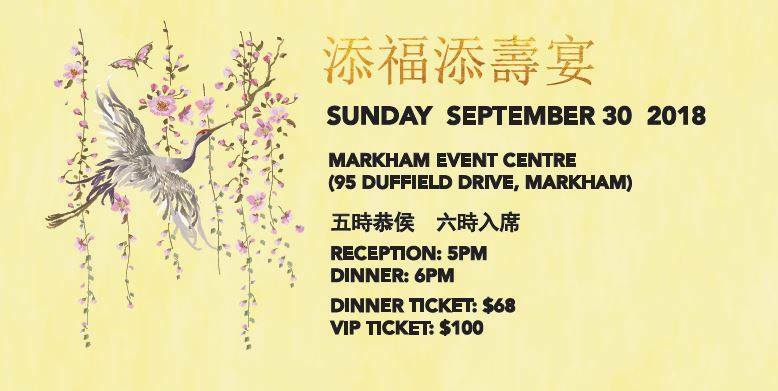 For more information on sponsorship or tickets, please contact Linda Tse at linda.tse@yeehong.com or 416 321 0777 x1808.